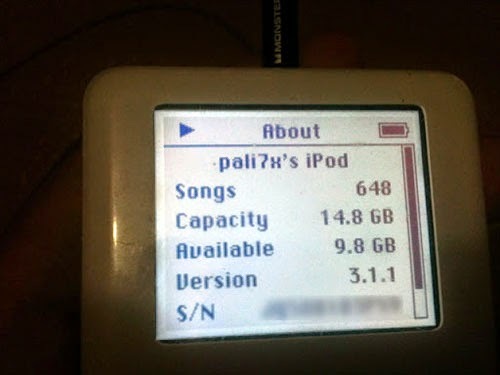 Early this year, i managed to purchased a broken, 4th generation iPod for RM70. If you’re an avid Apple’s follower and an audiophile, then you’re already know the great mystery why i bought such an old device. If you’re not, then you ought to do some homework. So let’s get this baby back to life. I know very well that this old device comes with dead battery and hard drive that needed to be replace. And i didn’t like the idea of having a mechanical spinning drive on my music player when i’m running or using it around the house. Although hard drives has this advantage of having larger capacity compare to flash drives, i want it to be reliable just like my iPhone. Fortunately, we’re at the point of flash drives are no longer a premium items. And in my case, i can resort on using compact flash to replace the hard drive. Thanks to @aiFrantz, i ordered all those required parts from oversea to make this project happen with his help. You couldn’t get them at local retailers. Trust me. After two weeks, its arrived safely. Left : CF adapter with housing. 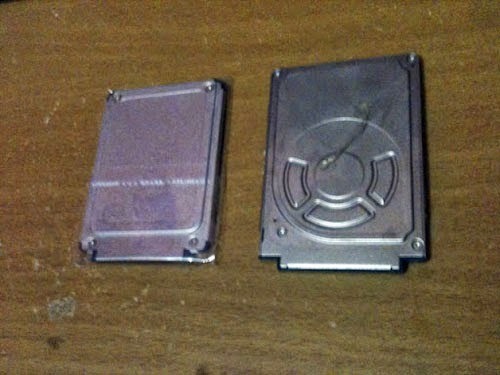 Right : Old, broken 1.8inch hard drive. 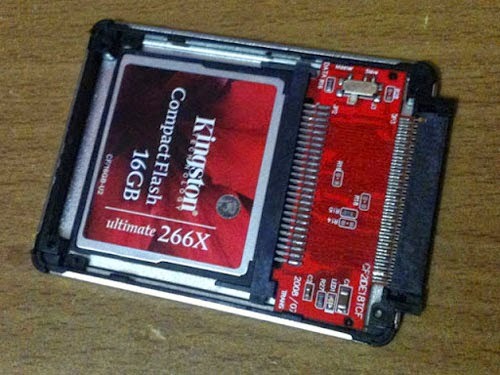 Compact Flash adapter. 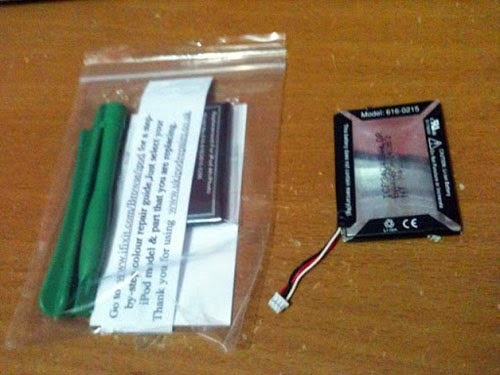 Short of SSD for iPod. How much all these items cost? Well, let’s just say they’re about RM150. Plus with 16GB CF for RM80 and iPod itself RM70, so that makes a RM300 music player. I didn’t know how long it will last me, but that’s another story to tell. 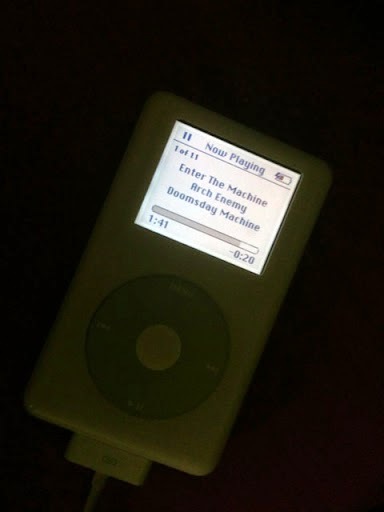 There’s an old working iPod (4th and 5th gen) by the time i’m writing that goes for RM250. But you might want consider replacing the hard drive and battery as well for its age, unless you bought a Classic. I’m not interested in buying 5th gen that plays video because i got my iPhone for that. Unfortunately, the new battery did not work on my iPod. I didn’t know if i bought the wrong battery or if it’s dead on arrival, but right now i just settle on using old battery for temporary. Surprisingly, its still work. Although i didn’t count how long its going to last me on single charge. When it comes to music, i’d definitely consider it as an investment because it has impact on my life both professionally and personally as well. That’s why i’d spend thousands in getting a high quality earphones or headphones because i don’t want just to listen to my music, but i want to feel the emotion behind it. I want to enjoy it. Quality matters, and i just can’t convince myself settle on less. If you want to rate me, you can say i’m a listener with emotion, not just someone who will wonder “why you bought a device that only plays music?”. But please, don’t rate my music taste. It goes from Stacy to Arch Enemy. Sure it’s a strange combination, but its something i’d love to hear.